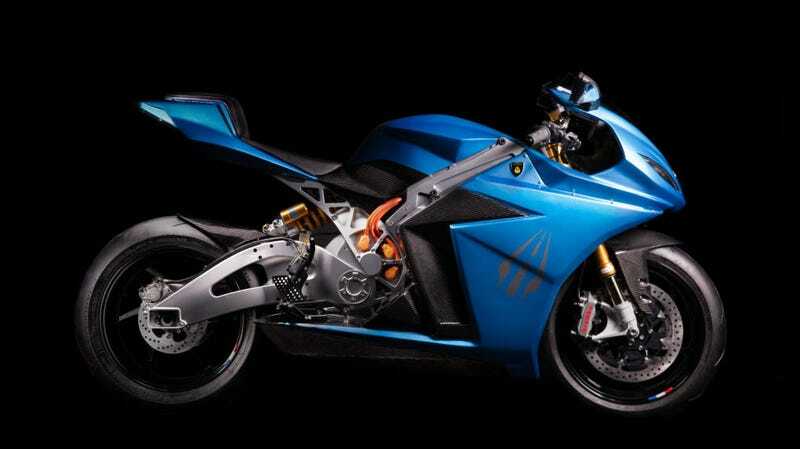 Lightning Motorcycles, which makes what they say is the fastest production motorcycle in the world, unveiled a new electric motorcycle today, called the Strike. This thing sounds very, very fast, but, like all electric motorcycles, its range on the highway really struggles compared to lower speed riding. The Strike will nominally compete with Harley’s LiveWire, which will debut this summer and will start at $29,799. The Strike starts at less than half that, or $12,998, while the version with the biggest battery—and best range—goes for $19,998, and middle-tier trim goes for $16,998. Each version will make 180 lb-ft of torque, while the top trim will put out 120 horsepower, and the lower two 90 HP, according to Lightning. All of them will weigh fewer than 500 pounds. It gets more interesting when you look at the range. That’s because motorcycles aren’t very aerodynamic compared to cars, so their range suffers much, much more greatly on the highway. On the Harley LiveWire, that drop off is dramatic, with the LiveWire getting 140 miles of range in the city and just 88 miles of range on the highway. On the Strike, that drop off is less so—mainly because Lightning gave some thought to aerodynamics, whereas Harley didn’t even bother to try—but it is still sizable nonetheless. All of that really isn’t too shabby, and I bet Lightning will sell more than a few of these, though exactly how many remains to be seen. Heavy electric motorcycles are simply a category of the market that hasn’t existed before in huge numbers ever before. The Lightning Strike will also have a minor jump on its competition, as deliveries start in July, while LiveWire deliveries are expected the following month.